Home > Living in California or Nevada? 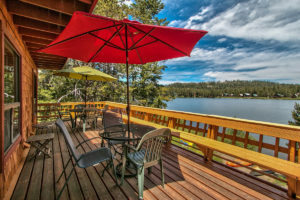 As a real estate professional I am frequently asked, “Is it true that if I am going to buy a second home at Lake Tahoe, I should buy in Nevada as opposed to California? Is it really less expensive?” Of course, this question makes sense as my market area, Lake Tahoe, is both in Nevada and California. Whenever I have attempted my intensive research consisting mainly of asking this question of other agents, or friends at the gym or over a glass of wine, I usually come up feeling as ‘gray’ about the answer as I did going into the research project. It appears that everyone has ‘heard’ this or that, but no one is really sure. It is for this reason that I have decided to actually research the subject through experts, including conversations with CPA’s and attorneys that practice on both the Nevada and California sides of the lake. Now, if you speak with a real estate agent on the Nevada side of Lake Tahoe, I guarantee that they will be able to sell you on all the financial benefits of purchasing in their marketplace as well as the fantastic amenities and the fact that the Nevada side of the lake gets less snow and more sun…they may even drop a few names of big dogs that own homes in their world. But if you speak with a real estate agent on the California side of Lake Tahoe, they will probably be able to sell you on the fact that owners on the California side of the lake have access to charming old-Tahoe towns and neighborhoods on both the North and West shores, have easy access to some of the greatest ski resorts in the country, and oh…did i mention those California girls? Regardless, you are in the right place. Yes, I am a California girl (ok…maybe not like the ones in the movies) and for me, once a Californian, always a Californian. However, the great news is that I am also a licensed Nevada Real Estate Broker and have an office in Incline Village, so hopefully the information below will not be slanted and will really help you decide between California and Nevada. Let’s start with a quick summary, and then if you would like more details on each state, click on these links for more summarized information about California Tax Benefits & Nevada Tax Benefits. Property taxes in NV are county specific. There is no personal income tax in the state of Nevada. This can be a good thing, especially for retirees from CA who can bring their retirement incomes with them if they become residents. This is the main difference. It’s like getting a 10% raise for living across the state line. Residency is considered to be a minimum of 183 days a year. Some Californians/Nevadans fudge on this and maintain homes in both states but claim NV as their primary residence and vote/register vehicles/bank etc. in NV. In order to take advantage of Nevada’s “tax hospitality” a taxpayer must make Nevada its principal place of residence, i.e. your primary home. Residency is the single most important factor in gaining Nevada’s tax advantages.A “close connection test” is implemented and must be passed in order for a taxpayer to establish state residency. The “close connection test” identifies if Nevada is the state in which a taxpayer has the closest ties during a taxable year. Various factors include: physical address, sources of income, voter registration, home ownership, the location of you closest social and business contacts, and more. Individuals who are considered “domiciled” in Nevada generally escape taxation. A corporation organized and domiciled in Nevada can also significantly reduce its state tax burden by shifting its corporate level of activity to the state of Nevada. Generally, if you buy a $1,000,000 house in CA, your tax bill will be about $1000/month, while in Douglas County the property tax on a $1,000,000 house is +/- $3500 per year. Assuming an 8% annual increase in Douglas County, it will take 9 years for the Douglas County tax to equal the CA tax, and property taxes are usually just one of several considerations in the equation. The most important thing, of course, is for the client to decide what the most important factors are in his personal equation . In California, property tax is reassessed upon transfer at approximately 1.25% of sales price. In Douglas County, NV, including the Carson Valley and Tahoe’s East Shore, taxes tend to be significantly lower than in Washoe County, NV, which includes Incline Village and Reno. In recent years the Washoe County rates have become very controversial as they’ve approached those of California. Douglas County property tax bills cannot be calculated from the “Total Assessed Value” posted on the Assessor’s website. Among the subjective considerations are view, age of the property and Special Taxes. Sewer is the biggest component of Special Taxes – that’s generally where a property is hooked up directly to county sewer rather than being part of a General Improvement District. Those Special Taxes are billed as part of the prop tax bill. GID members pay for water, sewer and snow removal separately at roughly $135/month. The newer the improvements the higher the property tax bill. View is also a subjective element – in the case of two seemingly identical homes, the one with the better view usually has higher taxes. Several years ago the Nevada legislature capped annual increases at 3% for primary residence. I called the Douglas County Treasurer and confirmed that the increase for second homes and rentals (non owner occupied properties) can be up to 8% in the county. As a resident, there is no state income tax if you earn your money in Nevada or if you have passive income, even if it comes from California. If you are a resident of Nevada and are employed in California you will be taxed by California. My experience has shown me that if it is a primary home as opposed to a second home or investment home, then the tax advantages can be more substantial. If it is a second home and you already live in California than the difference is minimized UNLESS you plan to retire in that home. If this is the case, then in an attempt to protect your assets Nevada may be a better option. 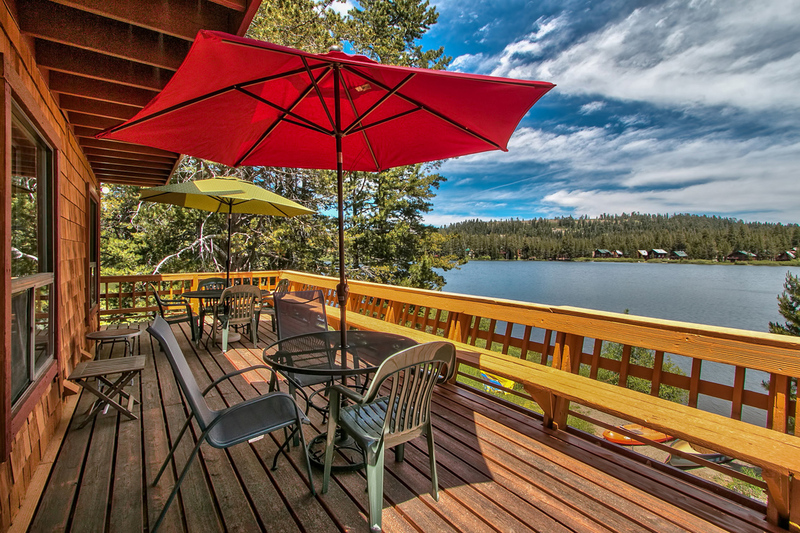 Another point to consider is that the median price of homes in Nevada is greater than that in California if you compare Incline Village (2009 median price was $915,000) to Tahoe City ($530,000) and Truckee ($538,000). So…while it may be less expensive on an annual basis, there is a cost to that…price upon entering the market. A San Diego Business Law Firm created this article comparing owning a business in California or Nevada. A limited liability company, better known as “LLC”, is a flexible business entity. It gives you the asset protection characteristics of a corporation, but with less formality. From a tax perspective, the LLC is taxed most often as a partnership. This avoids the double taxation issues that arise with a traditional corporation. After deciding to form an LLC, the next issue is picking the state in which to do the formation. For people living in California, there is a temptation to form the entity in Nevada. Why? Well, it usually comes down to tax issues. California taxes everything including a LLC. Nevada, on the other hand, provides a much better tax situation. So, when we ask about the merits of a California versus Nevada LLC, the answer is Nevada is the best jurisdiction to pick, right? It might appear so at first glance, but there are problems with this approach. You will often read that you can form a business entity in any state you desire. This is true, but you probably should not. Let’s assume I live in Tahoe City, CA and have a business idea. I decide to go ahead and form a Nevada LLC. Once created, I launch my business in Tahoe City, CA. I open an office in my home. I meet with clients in the office. I take calls in Tahoe City, CA. I receive orders in Tahoe City, CA. Basically, all the business activities are taking place in Tahoe City, CA. This is a common scenario, but problematic. Since the day-to-day activities of my business are taking place in Tahoe City, CA, California state agencies are going to view me as a California business. This means I will have to register with the Secretary of State as a foreign LLC since my entity is based in Nevada. I will also have to pay California state taxes and other fees. The end result of all of this is that I end up paying all the fees I would have by originally forming the LLC in California. On top of that, I will also be paying all the Nevada fees. Given this scenario, the benefits of using a Nevada LLC are lost and I actually end up in a worse situation. Most books and websites discussing the creation of business entities are painfully inadequate. Make sure you understand the complete picture before choosing where to originate your LLC or any other business entity. CBS News put on a great video about the differences between California & Nevada when it comes to running a business. Click here to view video. 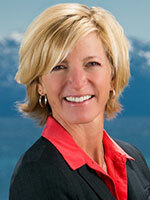 For more detailed info on operating your business in the greater Reno-Tahoe area, click here. And remember, if you would like more details, click on these links for more information about California Tax Benefits & Nevada Tax Benefits. I think you will find it very interesting. Very nice piece, Linda. You obviously put in a lot of time and effort researching this topic. Thank you for sharing. Hi Linda…sorry it took me so long to read your post. Thanks so much for all your hard work on this. I was able to share this with clients who are trying to make the decision on CA vs. NV. I wanted to make a little correction on the Washoe County Assessor. They are currently re-assessing annually. The appraisers do their research ever summer and we get our assessment postcards (I beleive) in November. We then have until around Jan 15 of the next year to dispute the value of the property. If a homeowner feels that their home is valued too high, the simplist step is to call one of the appraisers at the assessor’s office to start the evaluation process. I have had several clients dispute it after they close escrow with success. They have a formula for figuring out the actual tax where they figure in depreciation for age, etc. They appraise “areas” vs. each individual house (unless there is a dispute). Hope that helps and thanks again!